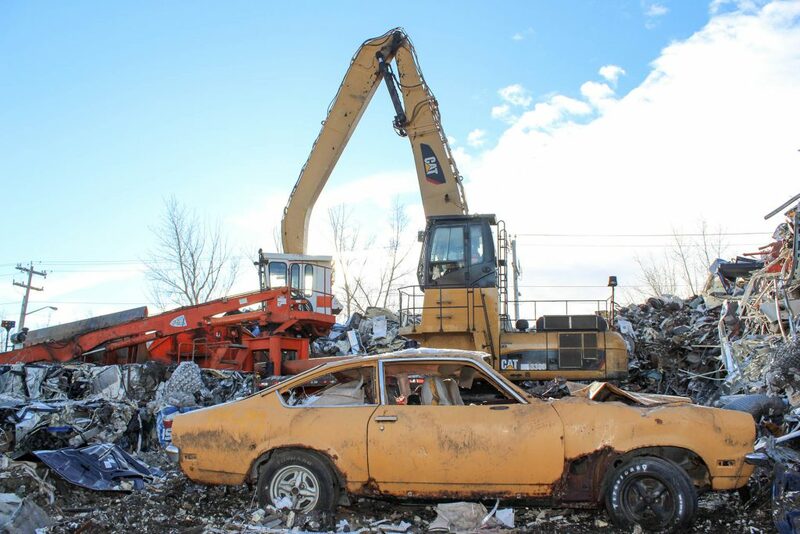 Since 1978, Maple Leaf Metals has been servicing Edmonton’s metal recycling needs. 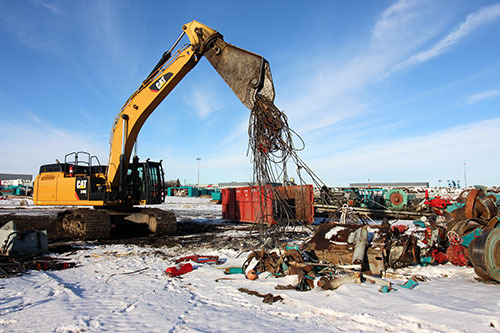 Today we have grown to receiving scrap metal from all over Northern Alberta, Northern British Columbia, and Northern Saskatchewan. In order to better serve our client’s needs, in 2014 we opened the doors of our second yard in Fort McKay, which is approximately 54 km north of Fort McMurray. Maple Leaf Metals is part of a larger supply chain that includes the only steel mill in Alberta, AltaSteel. 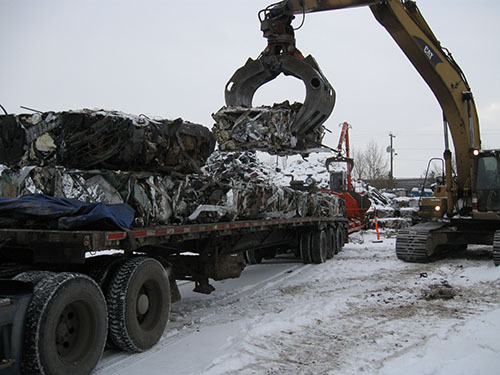 Scrap steel that is brought into Maple Leaf Metals is processed and shipped to AltaSteel to be melted down, refined, cast, and hot rolled into a wide array of products sold locally and internationally. 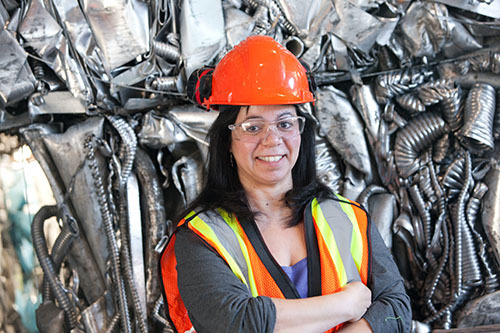 Maple Leaf Metals is proud to serve our local community in responsibly recycling metal scrap to be re-purposed with our sister and partner companies to create products for use back into the community. At Maple Leaf Metals, we take pride in having obtained our Alberta Certificate of Recognition (COR) for our Safety Program. The goal of Maple Leaf Metals is to continue to nurture the core values which have led to our success. The management of safety to “Zero Harm” is an important tool in that objective. Our intent is provide employees, contractors, and visitors a safe healthful place of work, and to manage the compliance issues pertaining to all applicable Federal and Provincial Occupational Health, Safety, and Environmental Legislation. Maple Leaf Metals is committed to doing its part for a “sustained earth”. Everyone benefits by following a sound policy that serves to minimize environmental impact. Maple Leaf Metals will work to conduct business activities following sound environmental policy and industry leading practices, to minimize the ecological footprint. The goal of Maple Leaf Metals is to minimize and where possible, eliminate any environmental effect work activities may have. Commitment to the promotion of sound ecological practice, as well as the prevention of harm to the environment and the preservation of the quality of the local, national, and global ecosystems are of paramount importance. Our intent is to minimize, as much as it is reasonably practicable, the environmental risks associated with work processes, and maintain low waste emissions. Electronic scrap such as computers, TVs, monitors, house hold electronics, etc. Metals – steel, cast iron, stainless steel, aluminum, brass, copper, lead, metal alloys, high temperature stainless steel and alloys, etc. This information is intended as a guideline and we are here to help you with any questions or concerns that you may have. Please do not hesitate to contact us so that we may assist you in your recycling and disposal needs.